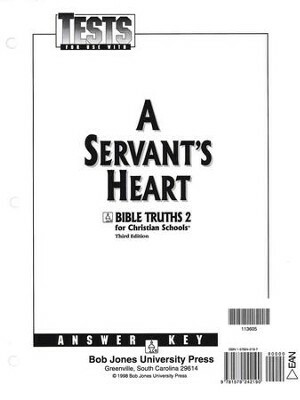 This answer key provides the solutions to the tests for "A Servant's Heart, Bible Truths 2". 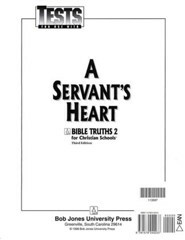 Student tests are reduced with four student pages per one answer key page; correct answers are overlaid on reproductions. 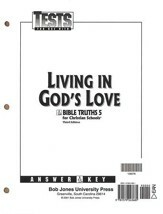 Pages are three-hole-punched and loose to easily fit into a binder. 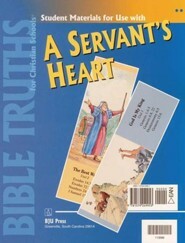 BJU Press was formerly called Bob Jones; this resource is also known as Bob Jones Bible Truths Grade 2: A Servant's Heart Test Answer Key. 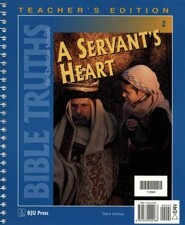 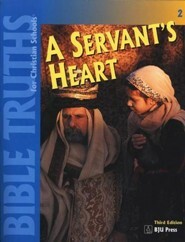 I'm the author/artist and I want to review Bible Truths 2: A Servant's Heart, Tests Answer Key.